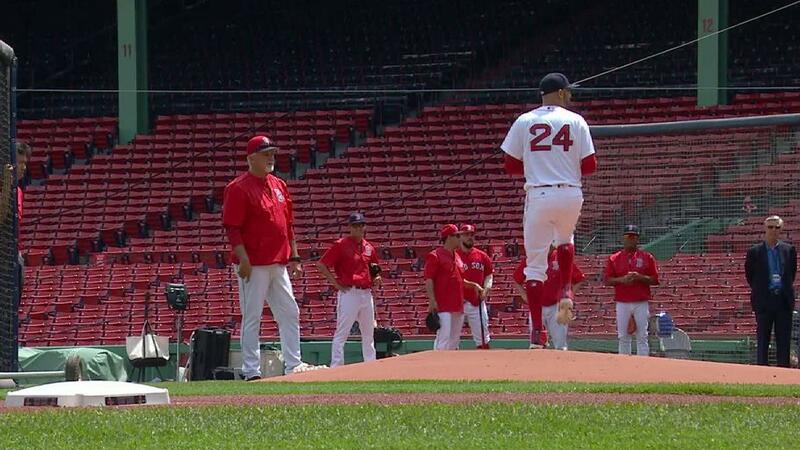 The mainstream Red Sox media is all goose-bumpy about a projected Memorial Day return to the rotation by David Price. Yeah, right. The timetable providing that tingling feeling running up the legs of beat writers has the lefty throwing four more "simulated" innings this week, then making three minor league rehab appearances starting on May 14th. Finally, a Red Sox start with the big club would happen sometime during a series with The Pale Hose in Chicago (May 29, 30, 31). Oh, sure—all of that is likely to happen without a hitch, right? Wrong, rosin bag breath! Look for something to go awry with Price's "strained" left elbow somewhere in that time frame. Hopefully, we are dead wrong, and Price becomes a major contributor on a winning team beginning on the day that is the unofficial start of Summer.